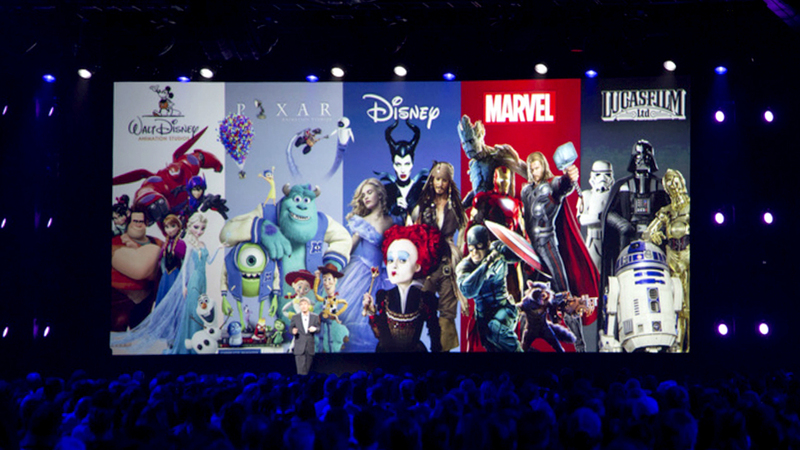 Update 14/12/18 - Launch date, content, price ... we tell you everything about Disney +, Mickey's next Netflix competitor. Article updated on 14/12/2018 - Disney is making a big bet with the streaming service it will launch next year, and the American entertainment giant has equally big ambitions: to compete with Netflix and become the leader of the SVOD. We already know the name of the service, it will be called Disney + to maintain consistency with another streaming service of the group: ESPN +. The subscription will cost less than that of Netflix, promised Kevin Mayer, number 2 of Disney in an interview with Capital, but we still do not know the exact price. This is explained by the fact that the catalog will necessarily be less supplied, at least in the beginning in any case, than that of its competitor. In November 2017, Bob Iger had already indicated that pricing would take into account that the volume will be much lower. The launch is planned for the end of 2019 in the United States. Again, we do not know the exact date. We know however that we should not expect to see Disney + arrive in Europe before 2020. For his project to come true, Disney will first end its partnership with Netflix, since the leader of streaming offers a number of Disney cartoons. It also broadcasts some Marvel, and even produces series like Daredevil, Luke Cage or Iron Fist, which for their part can not be broadcast on Disney +. Other characters like Jessica Jones or The Punisher will not be eligible for Disney + before 2020. The giant could also stop selling its broadcast rights to European TV channels, but by the time the service launches, some movies or series should be missing from the catalog, such as House of Cards at the launch of Netflix in France. The service will be for the whole family, so there will not only be cartoons for children. Disney will invest a lot of money in content, in the production of original works and even in French content. Of course, we will find classic Disney movies and series. The Star Wars license will also be there, we also know that a new series and an exclusive season of The Clone Wars will arrive on Disney +. A series Monsters and Co.
Other content should soon be added to this list. We will update this article regularly by adding the latest information on Disney +.